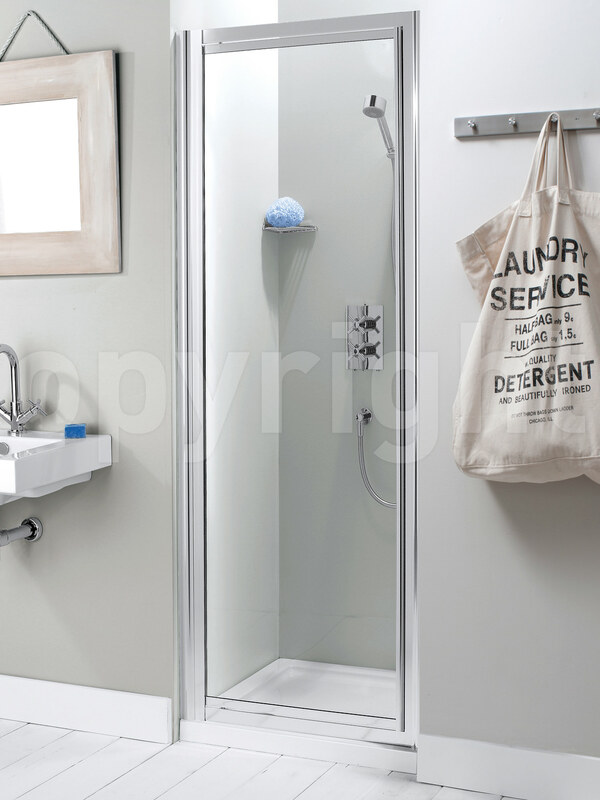 Complete your shower enclosure with the Simpsons Supreme 600mm Framed Pivot Shower Door. 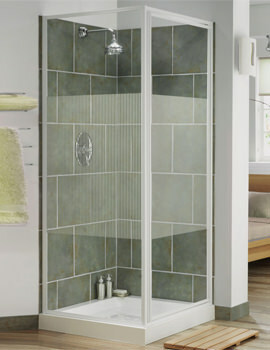 This shower door is a modern fixture, which provides you with convenience and adds to the decor of your bathroom. 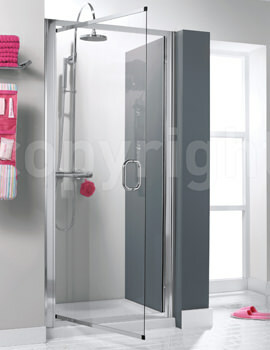 It is easy to install and incorporates a Powershower proof glass door. 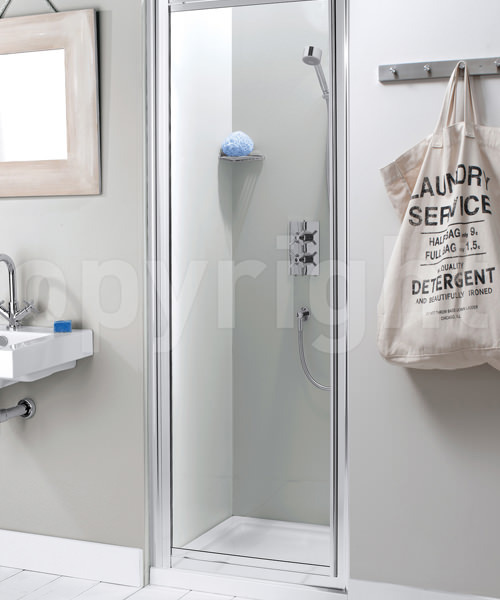 Simpsons provide a lifetime guarantee against manufacturing defects with this shower door. 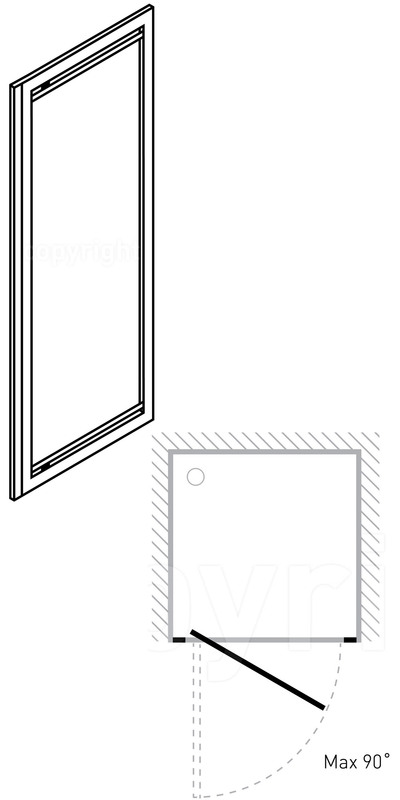 For a 3-sided enclosure two bracing bars are required. ?Unfortunately we do not offer a Bespoke option in the Supreme Range. Sorry to hear you are having this issue. 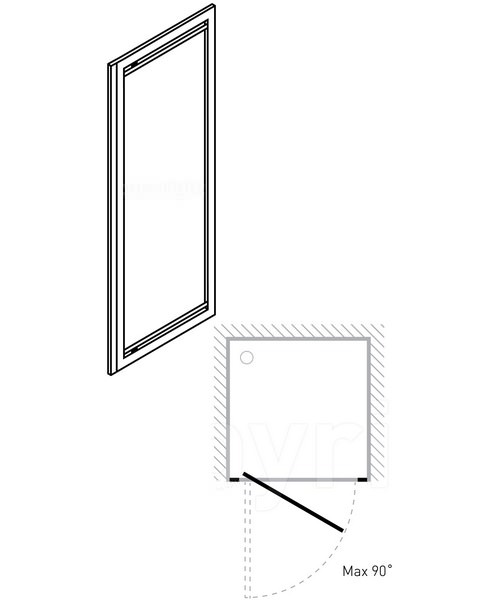 Unfortunately we do not supply the glass on its own, the enclosure comes in one box with the frame work already attached to it. The total height inc frame is 1850. The 7129 adjusts from 570-630. Unfortunately not. None of our doors open inwards for safety reasons i.e. 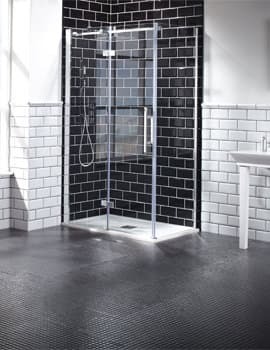 if someone collapses in the shower, you won’t be able to open the door to help them.